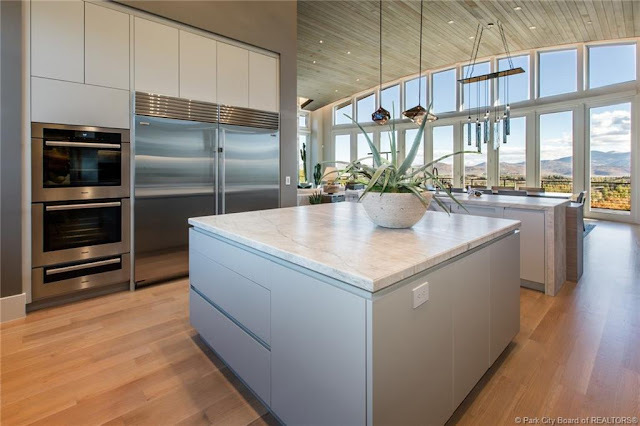 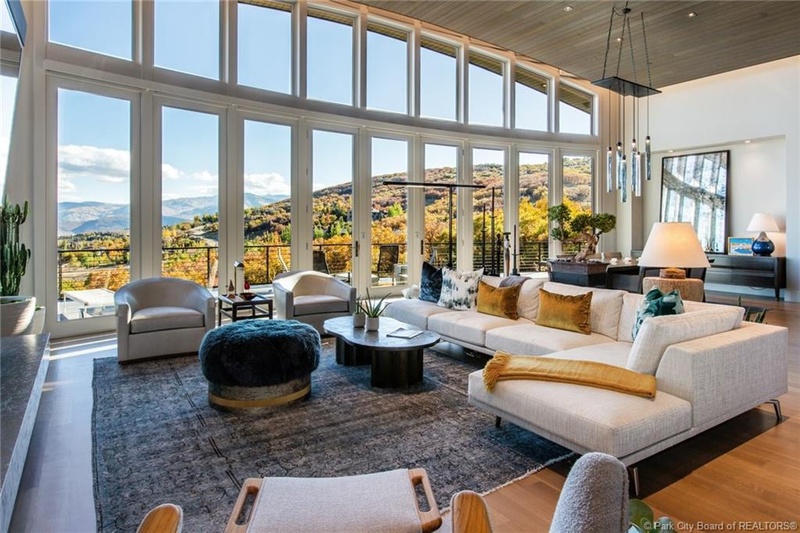 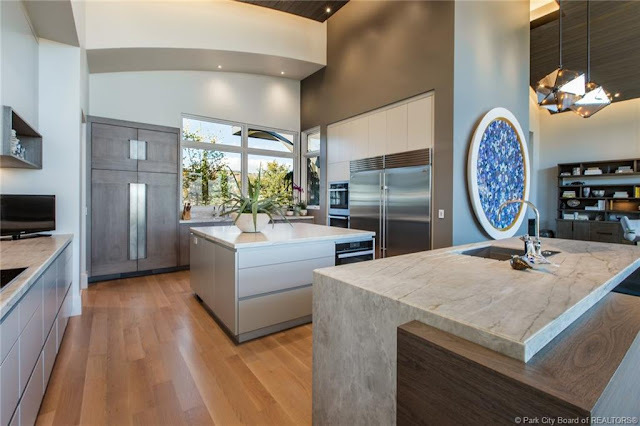 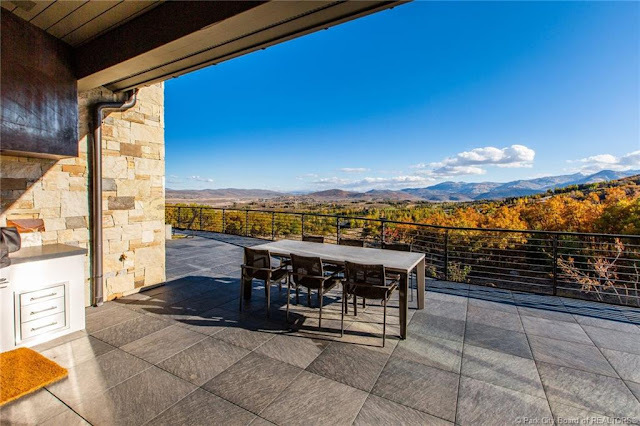 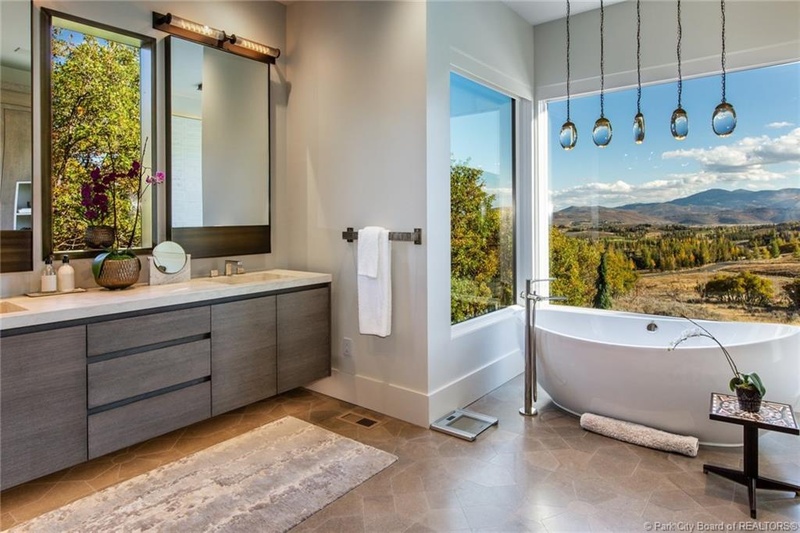 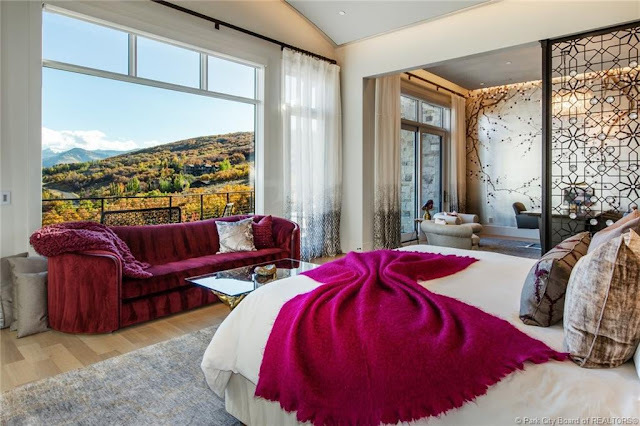 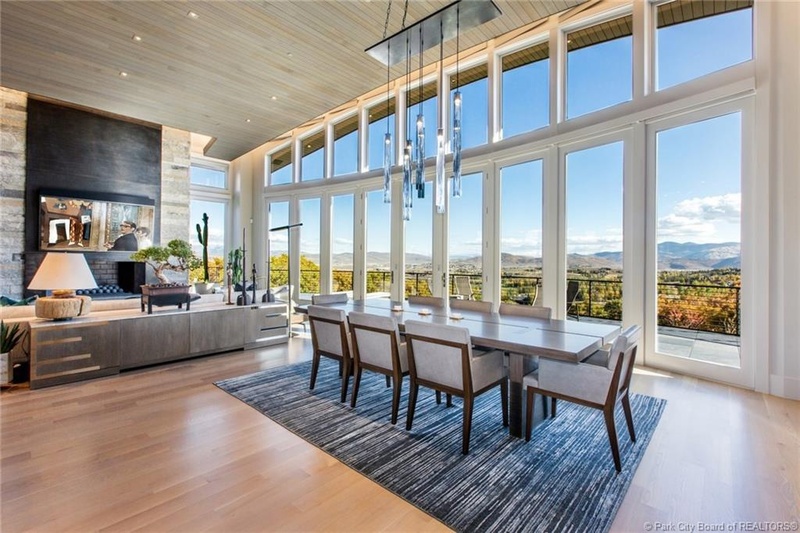 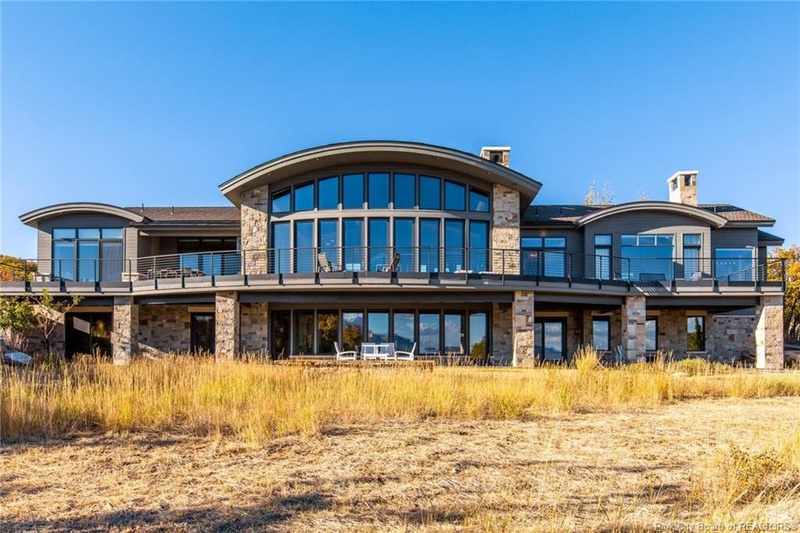 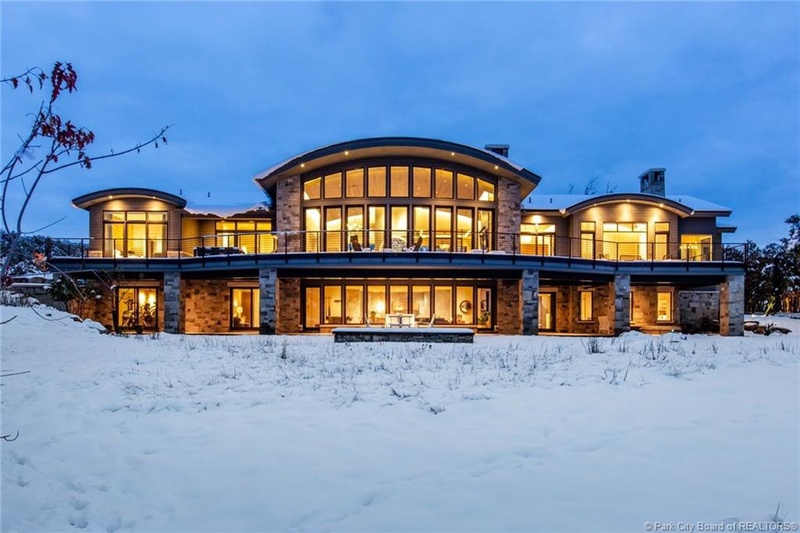 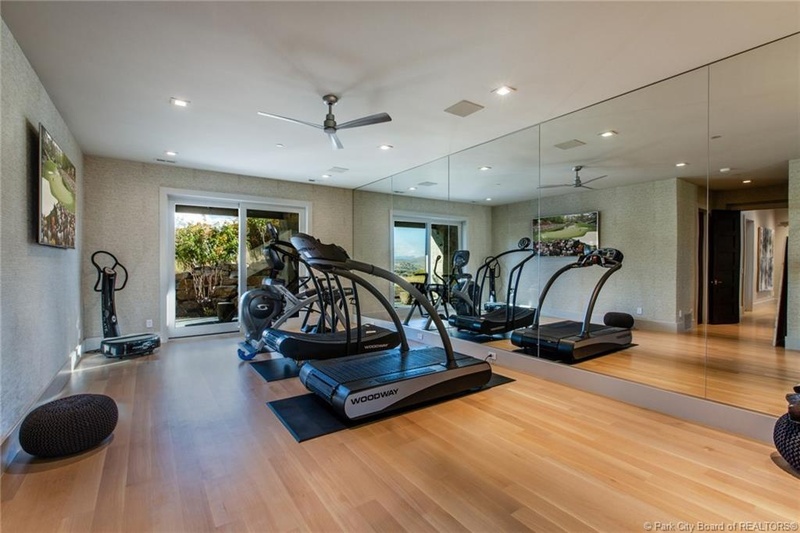 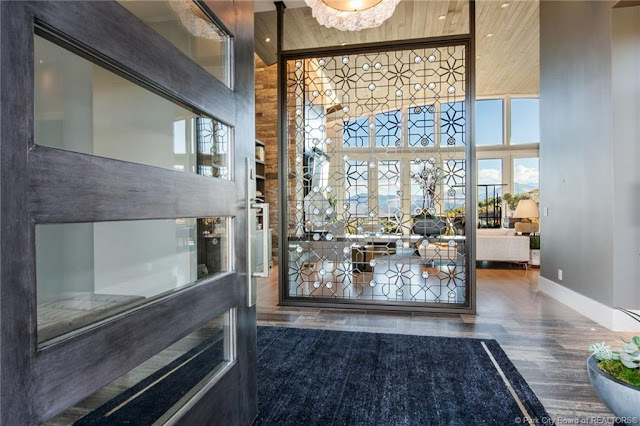 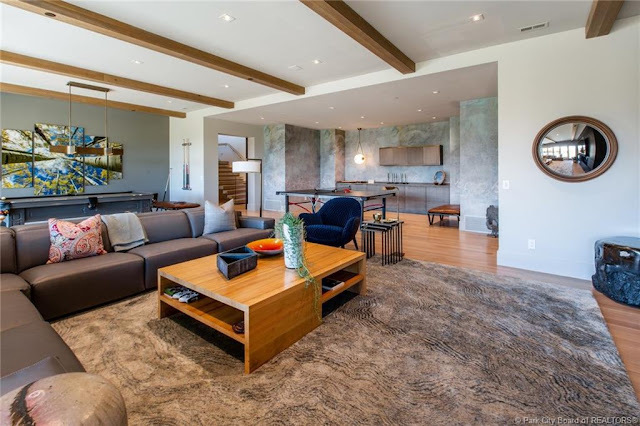 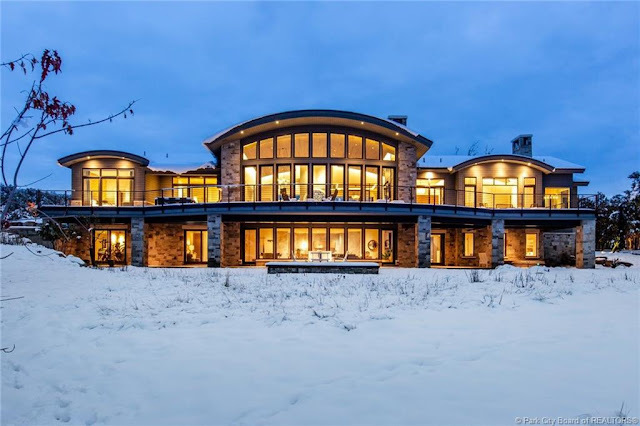 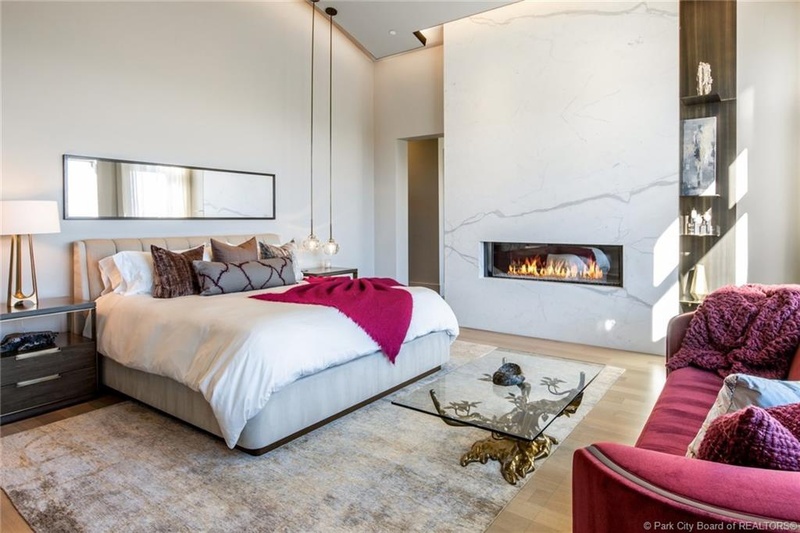 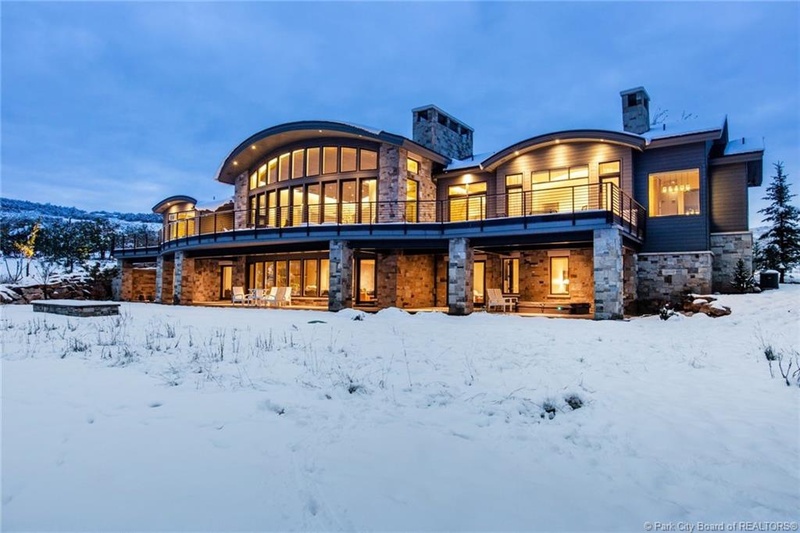 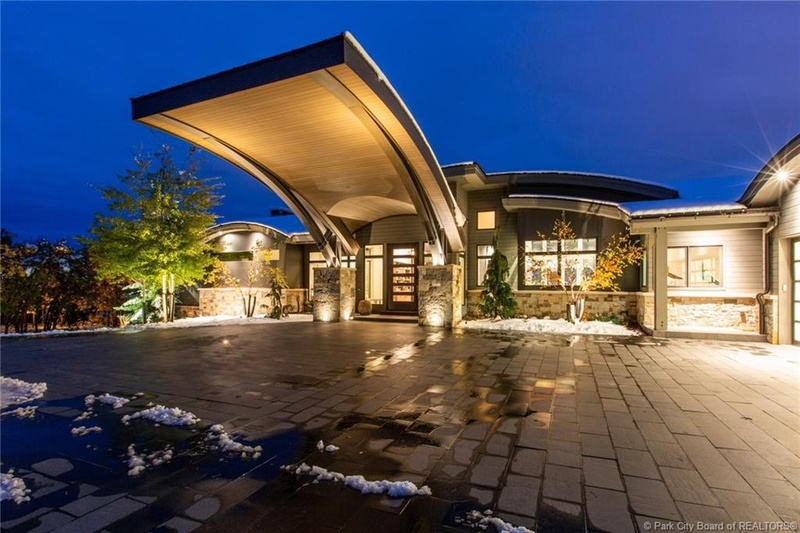 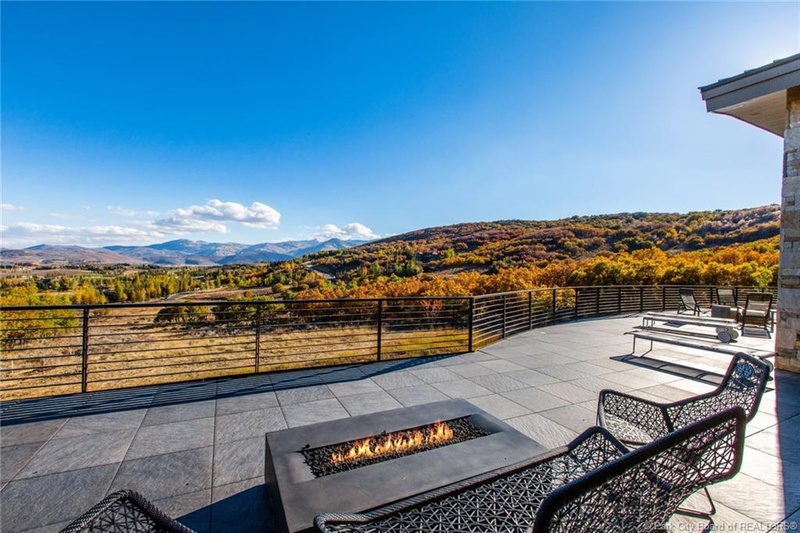 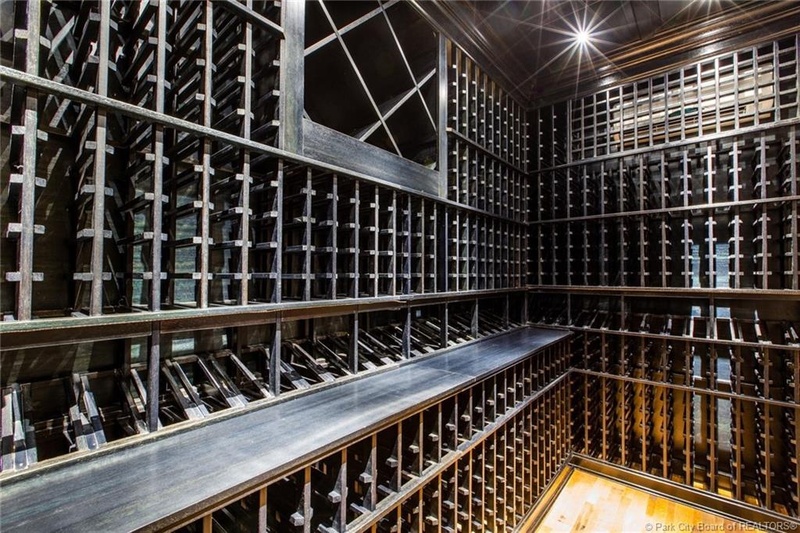 Dubbed "Solaris" for its south-facing orientation, this Upwall-designed contemporary mansion in Park City, UT was built in 2012 and is situated on 10 acres of land with panoramic city and ski resorts views. 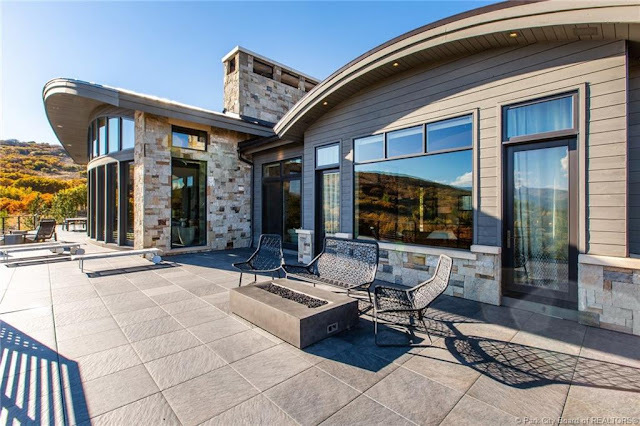 The stone and wood siding home features approximately 9,099 square feet of living space with five bedrooms, five full and two half bathrooms, open concept living and dining space with fireplace and floor-to-ceiling windows, gourmet kitchen with double islands, and breakfast room. 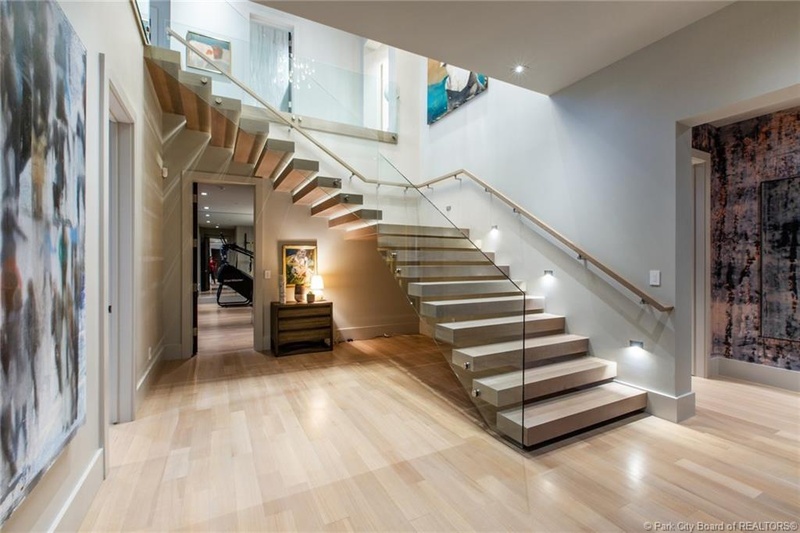 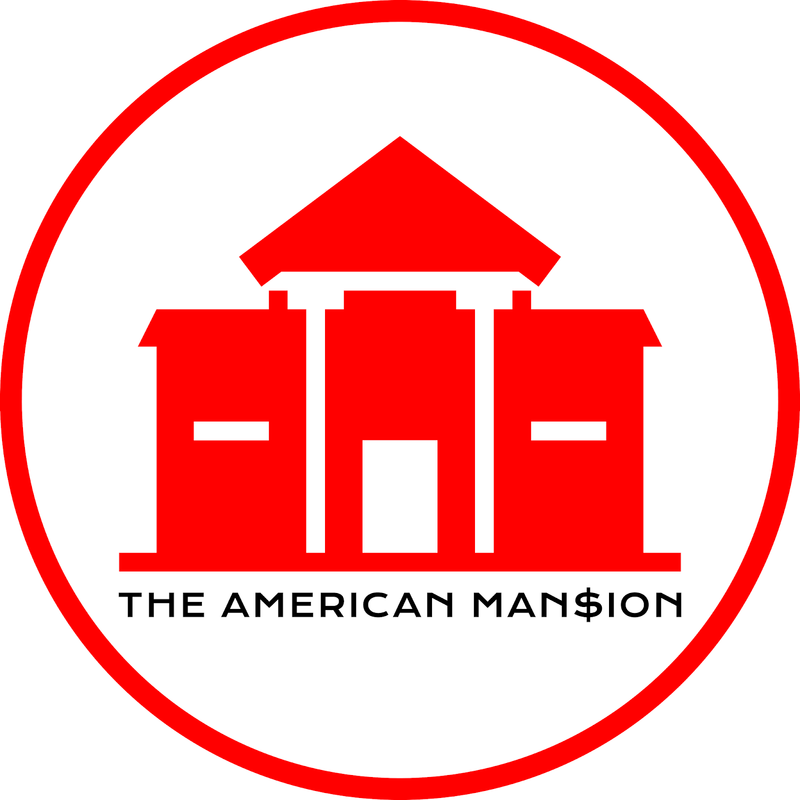 The floating staircase provides access to the lower level which features an expansive recreation room with fireplace, wine cellar, and an exercise room. 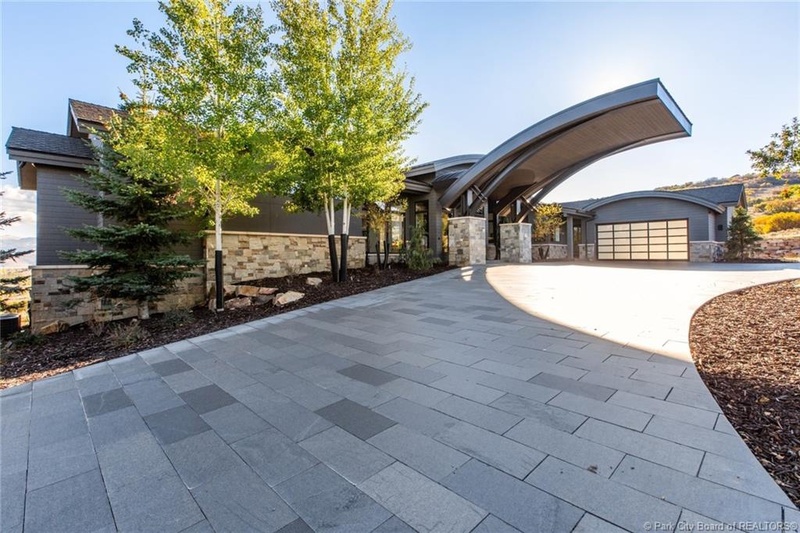 A four-car garage is located back on the main level. Outdoor features include a front canopy, deck, covered porch, BBQ kitchen, and a hot tub.